The European project was doomed from the moment of its conception. Hailed as a union of equals it never was. Every empire has its core, its national nucleus, an engine pulling the train of integration. Although in the EU such a place was not solely reserved for Germany, only the Germany’s consistent support and economic might drove it as far as it has gone today. No more. The political will of a few visionaries cannot compensate for the determination of the nation as a whole. Germany is not prepared to live yet another imperial dream. Though its financial resources are ample, its society is anything but prepared to endure the pain of another project which calls for endless commitment while offering little immediate reward. For Germany, the EU was a way of surviving its history, the only way out of the 20th century nightmare. Germany desired to exchange its national sentiment for the new, European myth of brotherhood. 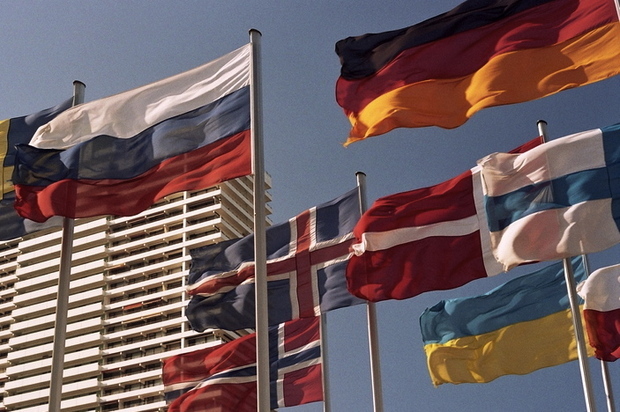 For a decade or so it looked like it would succeed in shaping a new, pan-European identity. The demise of the Euro, however, exposed the limits of mutual commitment among European nations. The future of the continent is to be determined by national governments, not by willpower alone – however progressive it might be. Nationalism is the main cause for Euro-skepticism, as it was the main consequence of World War I. An attempt to reconstitute unity on a different level resulted in both National Socialism and Soviet Bolshevism, superimposing meta-national, imperial structures capable of suppressing separatist sentiments. However, while the end of the "thousand-year Reich” led to new forms of European integration, the collapse of the Soviet Union in the early 1990s resulted in a brutal escalation of ethnic violence. Armenia and Ukraine, Kazakhstan and Estonia – across the vast expanse of the former Soviet Union, ultra-nationalist governments indulged in brutalities of ethnic and cultural cleansing against various “alien migrants.” Russia, in the meantime, has emphatically abdicated its state-forming role by proclaiming its economic and political autonomy. The Russian presidential elections mark a decisive moment in the painful history of this Eurasian giant. Openly nationalist statements – from both sides – leave no doubt about the future direction of this country’s domestic and foreign policy. Nationalism is on the march; hundreds of thousands are declaring their allegiance to “Russia for Russians.” This spells further trouble for the state, for which multiculturalism was the only possible modus operandi. Let’s be clear: The rise of Russian nationalism equals Russia’s disintegration. Together with further curtailment of civil liberties, it may also result in adventurous foreign policy. The Caucasus, Central Asia, Ukraine, and the Baltics will have to be prepared for an escalation of internal conflicts, combined with growing pressure from Kremlin “strategists” to yield to further demands – from pipeline agreements to ‘broad’ military cooperation. Isolated, paralyzed and weakened by growing internal descent, the Russian government may also turn to “spectacular diplomacy” – like sending its Black Sea fleet to Syria, transferring nuclear technology and material to Iran, or militarily guaranteeing its territorial and social integrity. Although no clear alternatives to this scenario exist, one possible solution may be found in the Russian imperial past. By that I mean the reintroduction of the constitutional monarchy – not unlike the system we see in Great Britain. In a country that has survived two world wars and one of the bloodiest civil conflicts in human history, not to mention the last two decades of unprecedented corruption and cynicism, a modern monarchy may be the only viable, if not obvious, solution. It would contextualize Russian autocratic tendencies within Byzantine universalism yet keep it firmly within the European cultural & social narrative. Such a constitutionally-grounded monarchy may also guarantee the future of the Russian Orthodox Church, the declining influence of which is evident. However, its most important contribution might be the transformation of the Russian state from a presidential republic into a parliamentary democracy, faithful to its past, yet infinitely more stable. Read more in this debate: Joseph Hammond, George Friedman, Pierre Calame. Born in Moscow and educated in St. Petersburg and London Alexander von Hahn is an art historian, journalist and politologist with degrees in philosophy, finance and Islamic art. After a short tenure as an advisor to the Estonian Prime Minister, a decade as a head of a German investment bank representative office in Moscow and a few years as an Islamic art & architecture scholar in London he works as a freelance writer and political observer. Since early 2011 Alexander resides in an 11th century castle in Sachsen – Anhalt, bought on an auction in Berlin for a price of an old BMW.